Jeska is still drained, but that's fine by her because she needs time to study the Madara rift anyway. The others don't know what caused this one except that maybe Nicol Bolas has something to do with it. But they were also telling her the truth when they said Radha has some kind of connection to it. Nothing too overt, but there is a subtle mark left on her. Jeska prefers to know more, and so she tries to revive the elf. However, Radha's internal green mana pushes back and is already at work at the healing process. 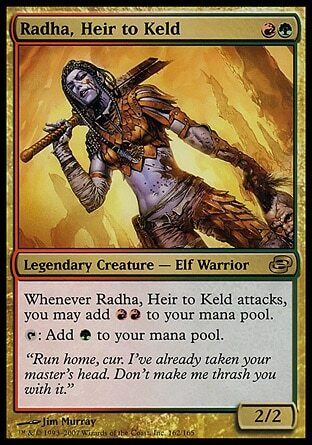 Radha wakens, and the first thing she asks of the planeswalker is who that man with the axe is. She knows why he had such a look of betrayal on his face. Radha tells her that Freyalise had the same look when she told her Goddess that she chose Keld over Skyshroud. Jeska isn't too happy with this line of conversation. She just wants to forget it and move on. 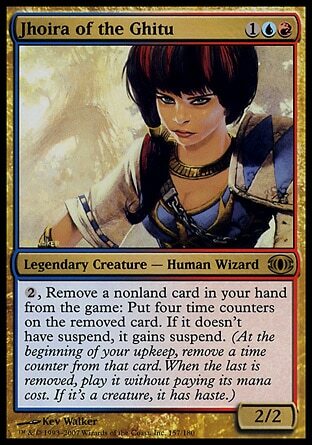 Even now, as a planeswalker, she still doesn't really know who she is. She can be whoever she wants but lately she has to concentrate to look like herself, otherwise, for some reason she's beginning to look more and more like Phage . Radha asks who the man with the burning crown is as well. She knows he's using her. Like she herself is using Radha. The elf knows she can't fight the planeswalker but asks one more time to be set free. To be sent back to her warhost where she's needed. 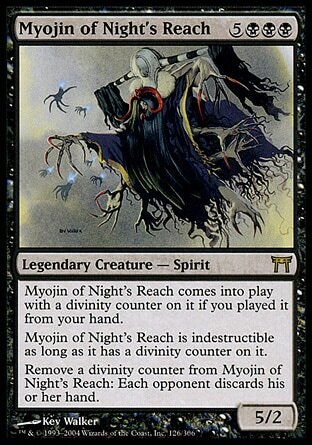 Leshrac, the Walker of the Night appears. He pretends he's here just out of coincidence, that he's here for the rift. She doesn't buy it. She demands to know what he's done to her. He gloats that he's quite famous for getting into people's heads, but the images she saw while under Multani's spell were all of her making. She calls him liar and he just smiles and says he's glad that she'll never know if she's right. He's really only come for one thing. And it's not the rifts. He places Night's mask on her and she feels all the darkness within her become drawn to the mask. 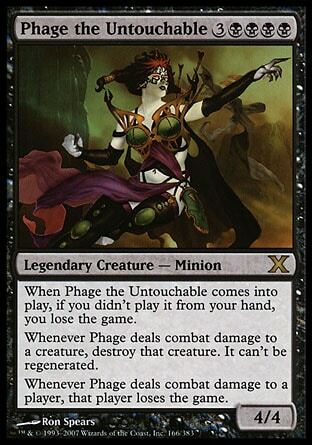 He doesn't want her to turn into Phage, but he does want Phage's power. He pulls of the mask and she feels a part of herself tear away. What about the rifts? The multiverse? The answer is he thinks the problem is overblown. Maybe they're right, or maybe just this world and a few others will be destroyed leaving everything else intact. Maybe he just doesn't care. Leshrac wakens Radha, and when she understands that he's not interested in using her to seal anything, she insists he move out of the way so she can get to Jeska. He tells her that Jeska isn't important. And besides... wouldn't she rather battle someone else? 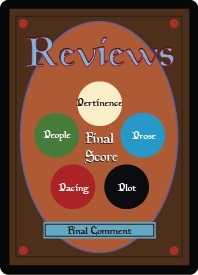 He summons Dinne , and Radha agrees wholeheartedly. 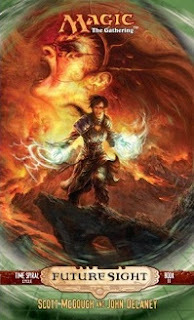 Radha then vanishes and Leshrac gives his assassins instructions to take as long as he wants in killing Radha, and then afterwards he's to kill the other three that have arrived up on the cliffs. The assassin nods in agreement. He tells Dinne that this is to be his last service and teleports the assassin up to the cliffs to meet his prey. Jhoira, Venser, and Teferi look down upon the beaches. 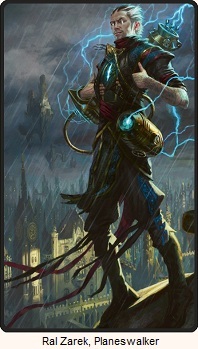 There's another planeswalker and he has Jeska captured. Oh no. Jhoira recognizes who he is. Jeska may have done a lot of harm, but at least she agrees with their end goal. Leshrac is much, much worse. They have to free Jeska. Radha appears next to them, and then Dinne. Radha declares that the assassin is all hers and Jhoira is happy to let her have at it. Then as if things couldn't get any worse, the Talon gates shimmer with a familiar blue, black, and red glow. Okay. I can buy that. I don't know his past history from Ice Age, and I don't know how much I believe he'll be happy to watch the end of the multiverse, but if he at least believes that maybe not all the multiverse will be destroyed, I can believe he doesn't care about the rifts. But why send Dinne to kill Radha? Maybe to take away the easy tool for sealing the rifts? 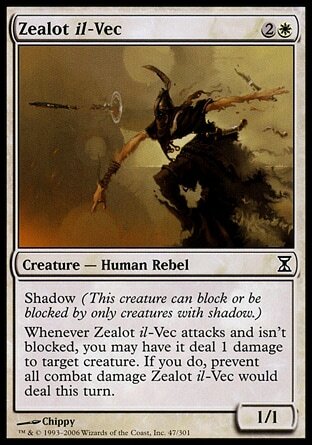 That way if the heroes want to still stop the rifts they'll have to sacrifice more planeswalkers and that just means fewer planeswalkers he'll ever have a chance of coming across. He already has the power of Phage now in his grasp. Seems like he should just go on about his business and go elsewhere.